De Kleine Mole Cake, a photo by CAKE Amsterdam - Cakes by ZOBOT on Flickr. 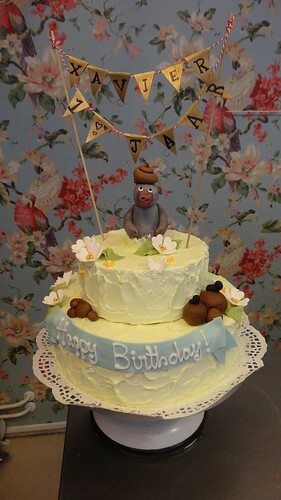 "Over een kleine mol die wil weten wie er op zijn kop ... " (the mole who wants to find out who pooped on his head) themed cake! This cake was gluten free as well! FLAVOR : Vanilla cake with lemon curd, thick vanilla whipped cream and raspberries.